Before you start the installation (fro windows XP), you’ll need to install the .Net 3.5 Framework. This comes pre-installed on Windows 2008 R2 Server, but for earlier versions of Windows, you’ll need to install it first. 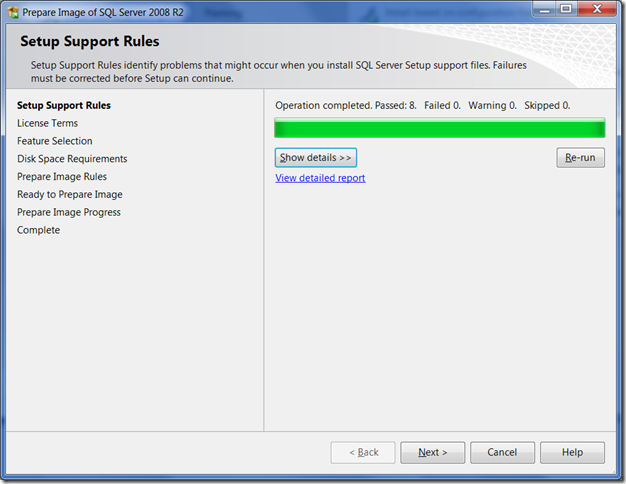 This is a straightforward pre-requisite and is usually included as part of the SQL Server 2008 installation. 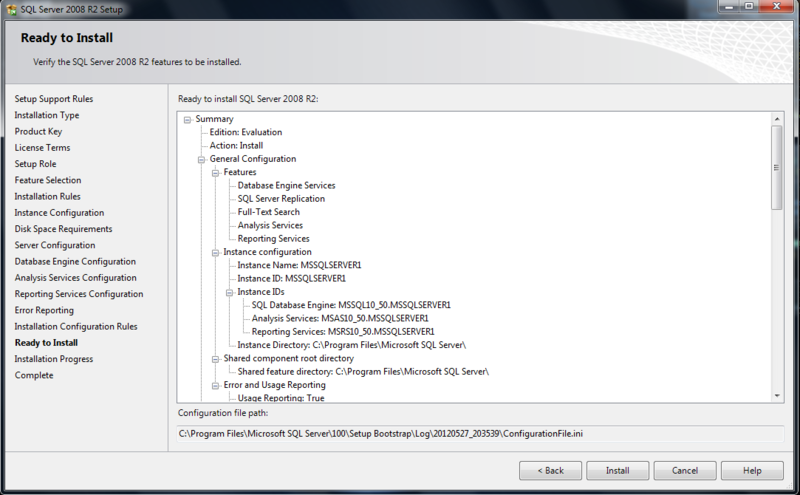 Once this Framework in installed you can commence the installation of SQL Server 2008 R2. 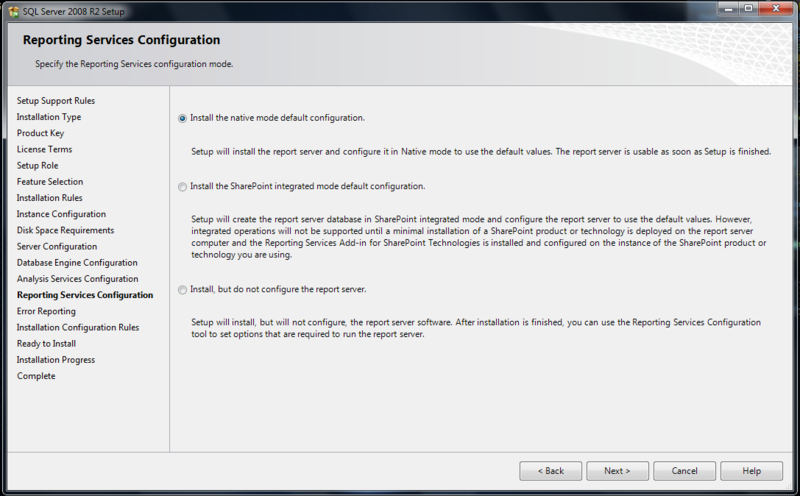 Note: - Above Pre-Requisite is not need in Windows 7 and higher version. 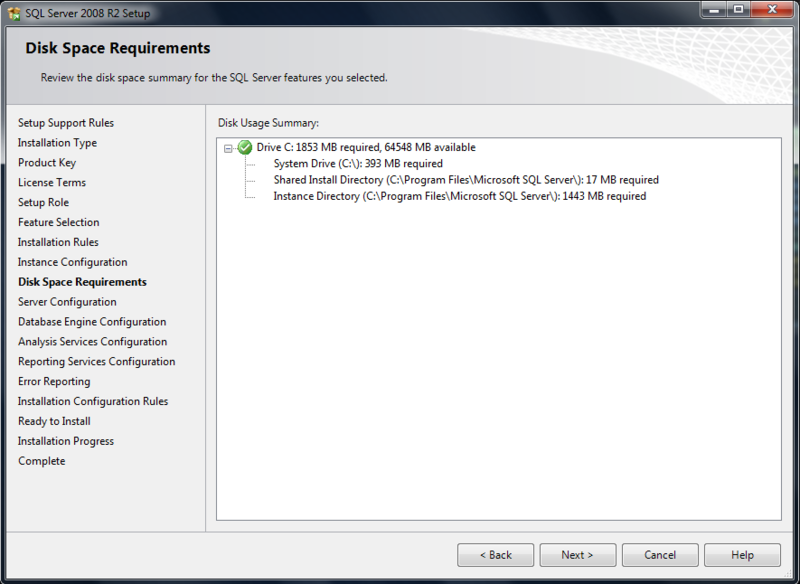 First of All recommend you copy the entire directory structure from the SQL Server 2008 R2 installation disc to the computer disk drive of the machine where you are going to install it on. It makes the installation process much faster than running it from CD/DVD once it gets started. It allows you to easily add or remove components later, without having to hunt around for the CD/DVD. If your media is damaged and a file won’t copy, you get to find out now, rather than halfway through the installation. This will disappear from the screen and then the main installation page appears. If any checks have failed, click on the Show details button or "View detailed report link" to find out the cause, correct it, then click on the Re-run button to perform the checks again, otherwise click on Install button. 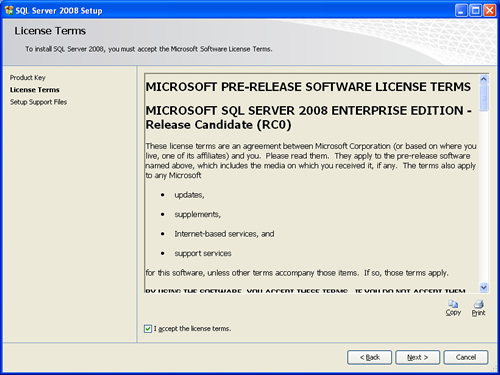 Enter the product key into the box, or choose the free edition if you're evaluating SQL Server 2008 R2, and click on the Next button. Click in the "I accept the license terms"check box, and then click on the Next button. At a minimum, the following are useful, but what you need will depend on your needs. 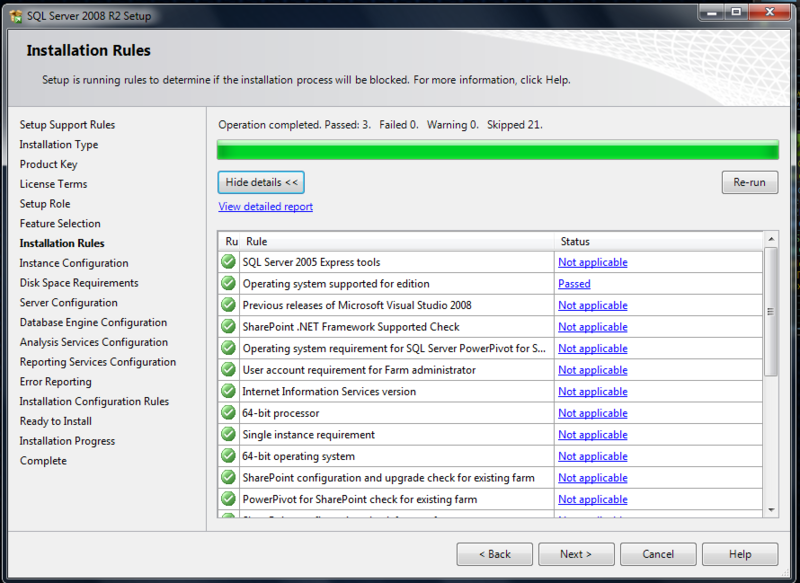 You can select any features you like while installing as for I am only selected few features to show you basic steps. For most installations, keep the default settings. Click on the Next button. This screen just tells you if you have sufficient disk space on the drive you’re installing to, and what’s going to be installed where. STEP 10: The next step is the Database Engine Configuration. 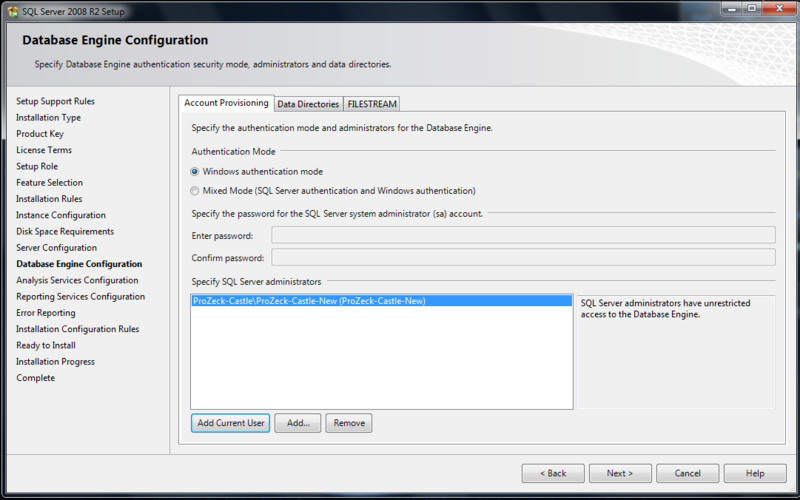 This step involves setting up the authentication mode and the SA (Server Administrator) account of the instance of SQL Server. Click Add Current User if you are currently logged in as an account you want to have SA privileges. 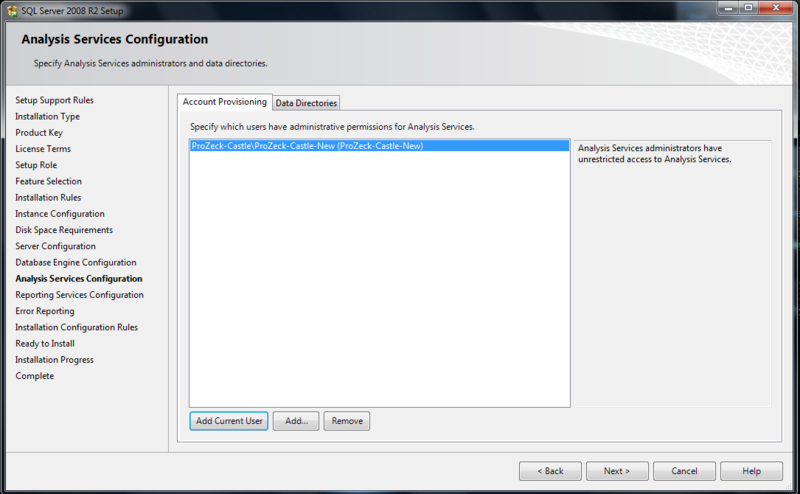 This step is used to setup the administrators for Analysis Services. 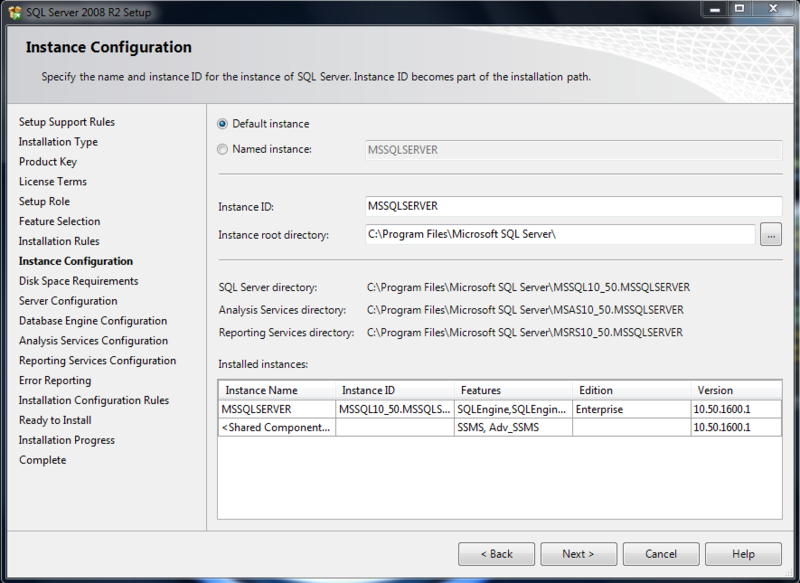 STEP 12: Report Services Configuration is the last of the service configuration steps. STEP 13: Ready to Install. After some process your installation is complete. 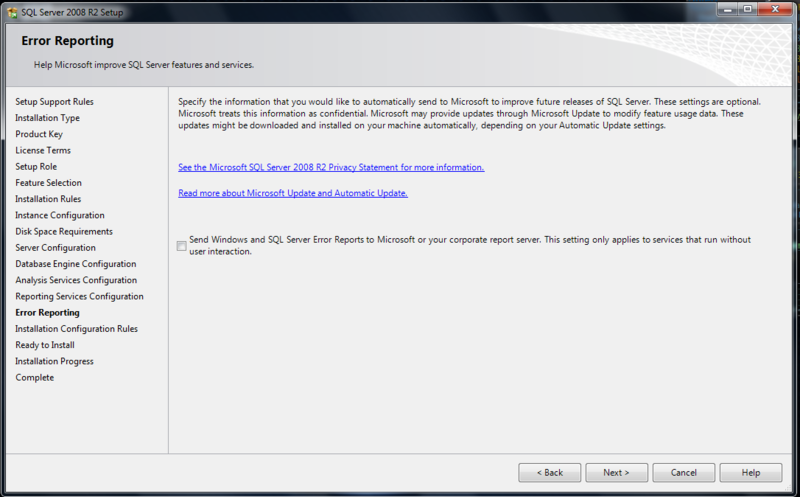 Close all open windows related SQL server. 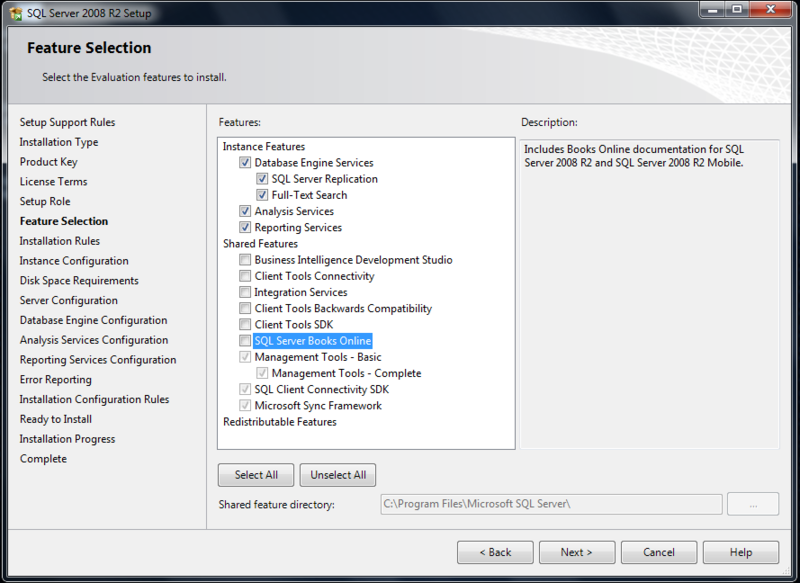 Go to option START==> ALL PROGRAM ==> Microsoft SQL server 2008 R2 ==> SQL server management studio. 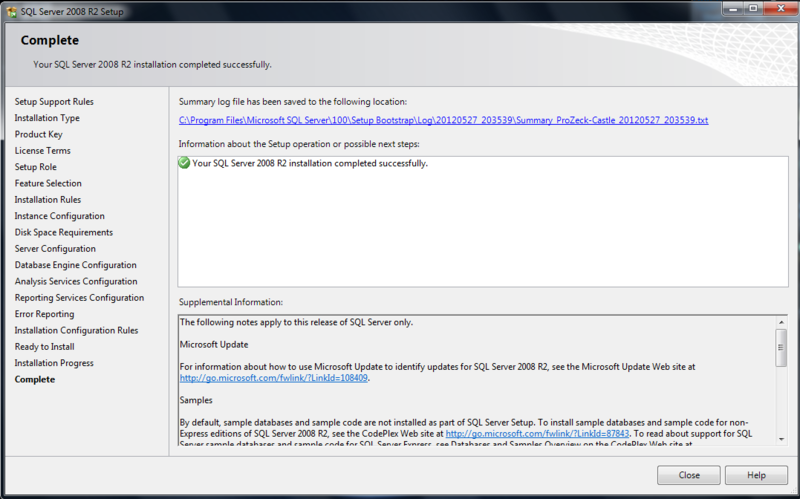 This means your SQL server 2008 R2 has install successfully.